My son’s favorite thing to do right now is to play with the “Elmo Calls” app on my iPhone. The sound of the phone ringing, and Elmo’s high-pitched greeting make him *so* excited… especially when Elmo starts to pretend to be a robot. Thanks to Elmo’s tutelage, I now have a 2-year-old who is quite adept at walking and talking like a robot. 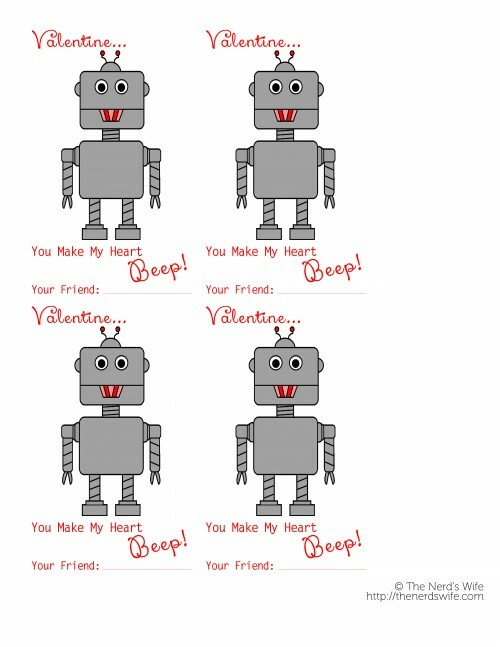 So in keeping with the norm around here, I decided to come up with some Handmade Valentines that any toddler boy — or robot-loving girl — could appreciate. 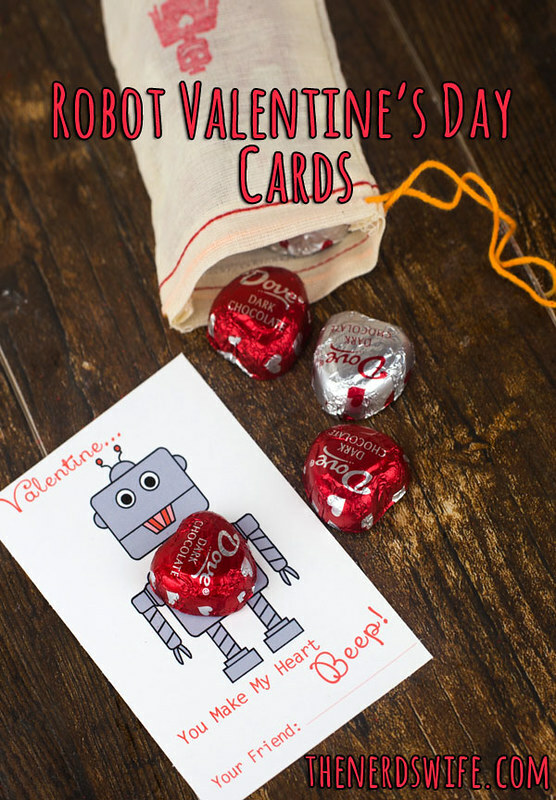 Nothing says Valentine’s Day quite like robots with chocolate hearts. 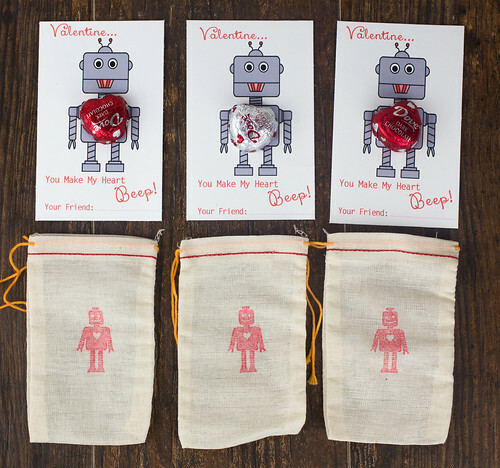 Tie these fun robot-themed cards to hand-stamped bags of chocolate, and your kids will have the perfect Valentine’s Day treat for their friends at school. 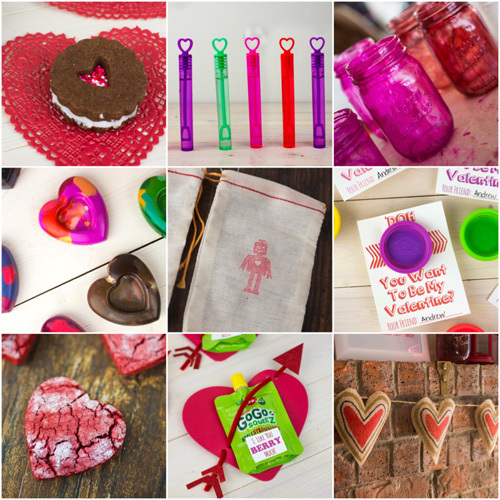 Click here to download a copy of the FREE printable. The printable cards a bit smaller than my other cards, so they will fit better with these 3×5-inch muslin bags. 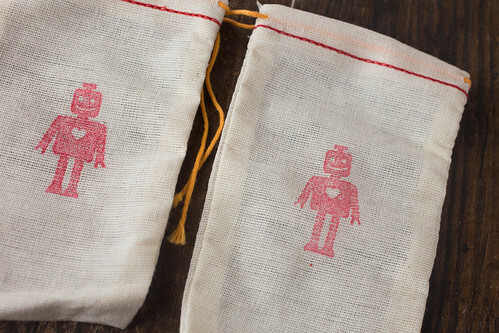 I used this robot rubber stamp to add some fun flair to the muslin bags, then filled them chocolate hearts and tied them onto the cards. 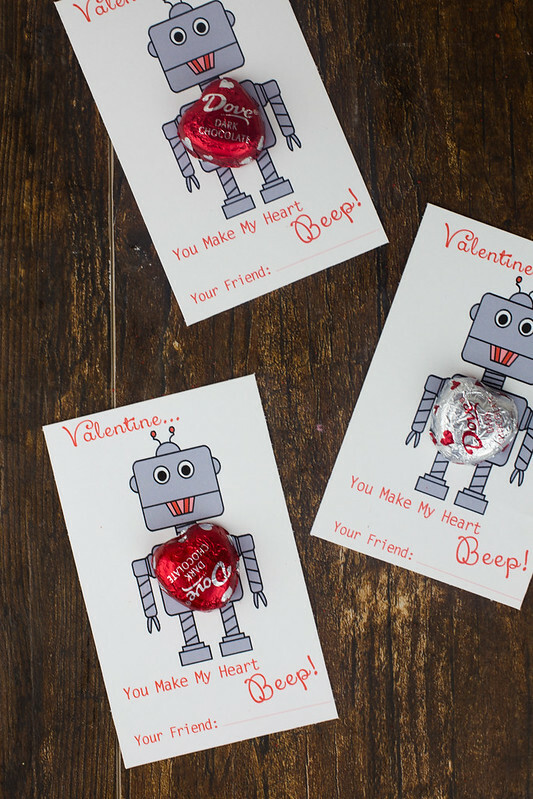 Attach a chocolate heart onto the robot’s body on each card using a glue dot or double-sided tape. Aren’t they cute? I was wondering if you thought 3×4 (instead of 3×5) inch bags would be large enough and look good with this project? ?